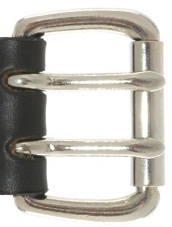 The belt length will be the diameter around your waist plus one inch. Then you will need to add an additional 4-4 1/2", which is normally how much the belt length will shrink after you have weaved the paracord to the end. 2. 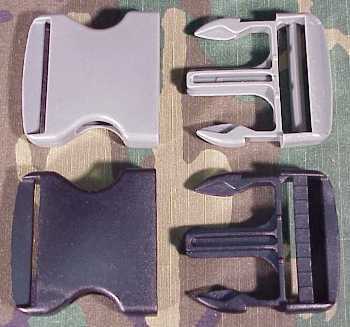 Add the paracord to the buckle and nails making three passes from buckle to nail. This will give you a total of 6 lines. I normally start with 30 feet of paracord. This is easier to work with. You can slice onto the end of the paracord by heating both ends and melting them together. 3. Starting at the buckle receiver end (the female part of the molle type buckle), begin weaving the end of the paracord over the top of one line and under the second line in a basket weave fashion. Watch the video on how the additional length is attached. Use the fork to push each row of weave together to make it compact. Once the belt is completed, you will be wearing approximately 25-50 feet of emergency cordage, depending on the size of your waist. You can also use this same technique to make rifle slings, straps for backpacks, etc.